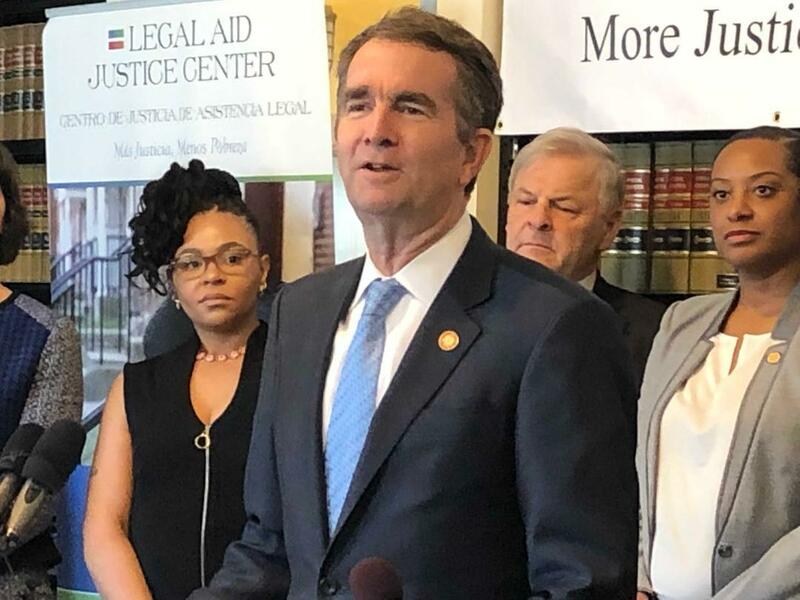 Governor Ralph Northam says he's added language to the budget that would end the practice of taking away a driver's license if someone is unable to pay court fees or fines. During the legislative session, state senators approved a bill to end the practice of taking away a driver’s license if someone couldn’t afford court costs, but a small group of Republicans blocked that measure in committee, so the full house didn’t get to vote. Now, Governor Ralph Northam has amended the state budget to end the practice. For that reason, Northam said, low income drivers who lose their license are forced to make a difficult decision. 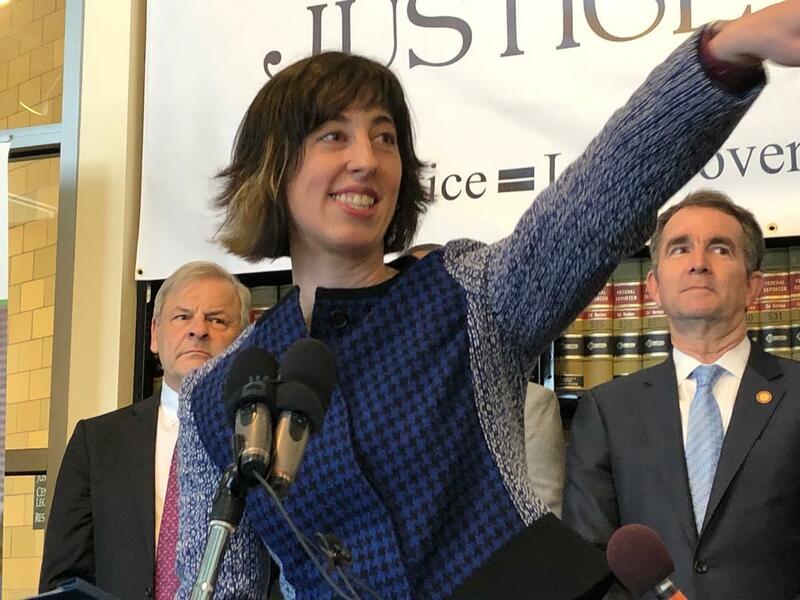 The executive director of the Legal Aid Justice Center, Angela Ciolfi, thanks her team for years of work toward ending license suspensions. He thanked several community groups for their support – including the Legal Aid Justice Center and its executive director. “I’d also now like to introduce Angela CLOW-fay [SIC]," he said, apologizing for what he thought to be a mispronunciation. She graciously accepted the apology. “Good afternoon. My name is Angela CHOLE-fee," she said with a smile. "It’s easier if you use your hands – Ciolfi,” she joked with an Italian accent and a dramatic gesture. Ciolfi argued driving was not a privilege but a right. Petersburg resident Brianna Morgan explains the hardships imposed on her family when she was unable to pay court costs associated with a speeding ticket and lost her license. 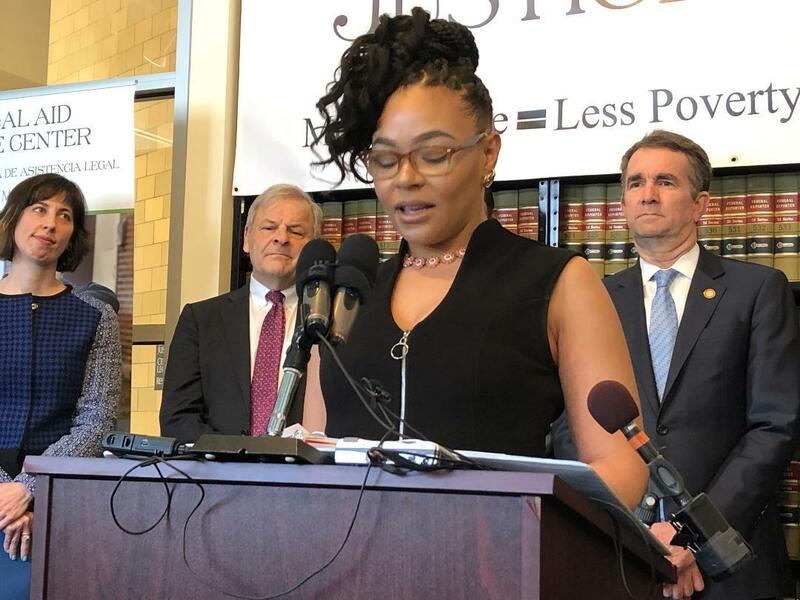 And she introduced Brianna Morgan, the mother of three from Petersburg, who had lost her license over a speeding ticket and the inability to pay court costs. The legislature will vote on the budget April 3rd – likely ending the practice of suspending licenses over unpaid court fines and fees. Virginia Gov. Ralph Northam is trying to revive an effort to ban motorists from holding cellphones while driving.